The reigning Euroleague champions gave their fans a scare in the regular season but they eventually booked their passage to the Top 16 with a 5-5 record. By contrast, Brose Baskets delighted their fans and won plenty of plaudits for making it out of the regular season with a 6-4 record. The three straight wins at the end of the regular season allowed Real Madrid Baloncesto to sneak into the Top 16 and you get the feeling that they’ll be looking to kick on from here. It would have been a disaster for the Spanish giants if they slipped into the Eurocup at this point of the campaign but they know that they have a second chance and you should expect the Spanish team to power on from here. They still have plenty of top players and if Sergio Rodriguez, Jaycee Carroll and Sergio Lull find top form, there could be a lot of points being cheered in Madrid before the New Year. 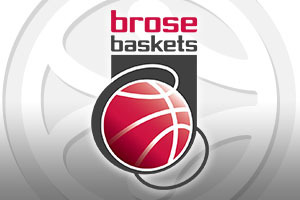 While Brose Baskets will be delighted at having booked a place in the Top 16, they will know that they need to find form at this stage of the campaign. So far, the team has a 0-20 record in the Top 16 so even one win this season will represent progress. It may not come tonight but the German side will be looking to provide a performance that shows that they are at least willing to learn and develop at this stage of the season. Nicolo Melli was the MVP for November and if he can capture that form in this game, there is a very good chance that Brose Baskets will come away from this game with a bit of confidence. The Spanish giants are clear favourites for this game which means that you are better off taking Brose Baskets at -13, at odds of 1.90, for this game. If you are looking to enjoy the Over/Under market for the game in Madrid on Wednesday night, look to go OVER 161.5, which is available at odds of 1.90. Bet Now!